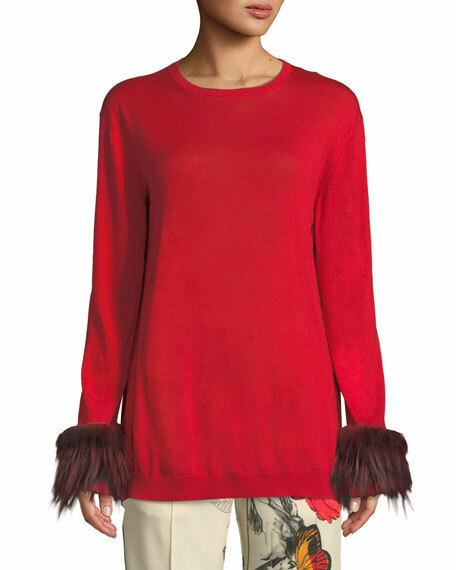 Moncler tricot knit sweater with dyed fox (Finland) fur cuffs. Crew neckline; ribbed trim and hem. For in-store inquiries, use sku #2645435.